Another month, another Ask G.L. Pease column, and it seems like I just finished the last one. For that matter, it seems like I just wrote the first one, but it’s been three years. Three years! Where does the time go? I love writing this column. Every time I think the questions will run out, something really interesting pops into the mailbag. But, there’s one question that I’m asked often, both here and in real life, that always makes me a bit uncomfortable, not because of the question itself, but because of the answer, at least if I’m really honest in that answer. Whenever I’m asked, “Do you smoke blends other than your own?” I cringe a little. Um, yeah. Sometimes. Sure. I try stuff. Do I regularly smoke other blends? Well, um, no. Not really. I’ve got a cellar full of vintage stuff that I sometimes indulge in, but when it comes to currently produced blends, beyond tasting things that people send me, with a couple of exceptions, I rarely smoke other blends. And, in a way, why should I? I know the guy who develops my blends pretty well. He’s intimately familiar with my palate, my tastes, my preferences, and he makes blends that perfectly suit me. And, that’s the part that makes me uncomfortable with the question. I’d love appear all altruistic and saintly and say in reverent tones, “I do this all for you,” but I really don’t. The fact is, I can’t. I can’t really get into others’ tastes anymore than they can get into mine. I make guesses, but I can’t really know what others will or won’t like, or what they find appealing or not appealing about a certain mixture, or a style. So, I selfishly work to blend stuff that suits me perfectly, and am grateful that some of my blends happen to appeal to others. In a way, it might seem a little egocentric, but it’s the only way I can really do what I do with integrity. If I don’t like what I make, I can’t honestly expect anyone else to, so I make what I like, and hope others like it too. That’s why, when someone tells me how much they like something, my reaction is often, “Wow, that’s great! Thanks! I like it, too, and I’m really glad you do.” Because, I really am. On to some less uncomfortable questions. Steve wonders: I recently smoked from a vintage cutter top tin of Wills Cut Golden Bar, which has a heady Cognac topping added to it. I have tried simply adding Cognac to straight virginia without much success. How might I “amp up” the richness of the flavour for a home-brew version of this old classic? A: There are a couple of things you might try. First is just spraying it evenly and letting the tobacco sit, pressed down tightly in a well sealed jar for a few weeks before you try it. It takes quite a while for the leaf to become permeated with things like spirits, and we’re often in such a hurry to taste our creations, that the additions, still adhering to the surface, burn off quickly, and don’t really do what we expect them to do. So, time might help. If you want to speed things up, heat might help a little more. Putting that well-sealed jar into a water bath at about 180˚F for a few hours will both encourage the leaf to take up the spirits, and also work a little magic on the leaf itself. Once you take it out, let it cool and settle down for a few days before opening it. Another thing to try is to fill a jar loosely with the tobacco, and use a moist cotton ball in a little plastic dish on top of the leaf to “infuse” the tobacco with the aromas from the spirits. Again, it will take a while, and the results will be more subtle, but it might be just what you’re after. With any of these methods, be sure to adjust the moisture content through careful re-drying once you’re ready to taste your experiment. Let us know how things go. From Chris: Over the years I have been fortunate enough to create a well stocked tobacco cellar as I prefer aged blends quite often. I would be interested in your comments regarding the moisture content in a blend and it’s relationship to the aging process. My own experience in aging both Virginia and English blends seems to lead me to the conclusion that blends that are on the dry side don’t seem to age as well. Thanks! A: You’re spot on. Taken to the extreme, a dry tobacco is amazingly stable, and beyond a little mellowing over time, it doesn’t really change much at all. It takes some moisture to activate the processes, both chemical and biological, that are taking place when tobaccos do what they do in the intricate dance we loosely refer to as “aging.” It doesn’t take much; when the water content is somewhere between 12% and 16% by weight, things seem to work best. This is where the leaf remains pliable, not crispy and crunchy, but still dry enough that when compressed into a little ball, it springs back. 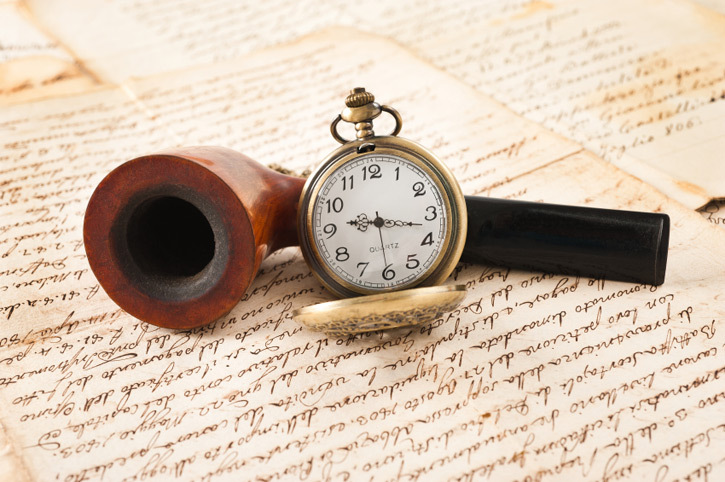 Eric pens: I’ve gotten into Virginia blends a bit lately, especially through some 2009 Union Square, and more lately, some mid 90s Boston 1776 that McClelland tinned for the PCCA. The 1776 apparently contains something like 3% of some oriental leaf, which I think along with the age probably contributes to the depth that I really like about it. I also have a couple tins of Laurel Heights from 2007 that I’m looking forward to. That blend in particular has always been interesting to me, at least in theory, because of the pinch of latakia in it. I’ve loved Fillmore for the same reason for a long time. And I recall reading eons ago in the Briar & Leaf Chronicles this little gem: ‘the fact is that I can think of some really nice old Virginias that were “enhanced” with a tiny bit of Latakia, and no one ever suspected.’ Can you talk a little more about that? It seems like a trick you’ve been using for a long while, be it the latakia in the aforementioned blends, or a pinch of unadvertised perique in your latakia blends, and I’d like to hear more about the theory and practice of it. A: Probably the easiest approach to discussing this is to compare it with cooking. We’ve all had the experience of what happens when we add a pinch of salt to something that tastes pretty good, but is under-seasoned; flavors are enhanced, the savory becomes more so, acidic foods are aligned into greater harmony, bitterness can be somewhat mitigated, and even sweetness can be amplified. If we could take that salt back out, the dish that tasted okay to us before the addition would be rendered dull, flat and lifeless in comparison. So, if that little pinch can do so much, why not add another? Now, the salt begins to assert itself, and the food that was previously delicious takes on a salty character. It might still be delicious, especially to those who crave the taste, but it’s definitely not the same anymore. Different people will have different thresholds at which these transitions take place. 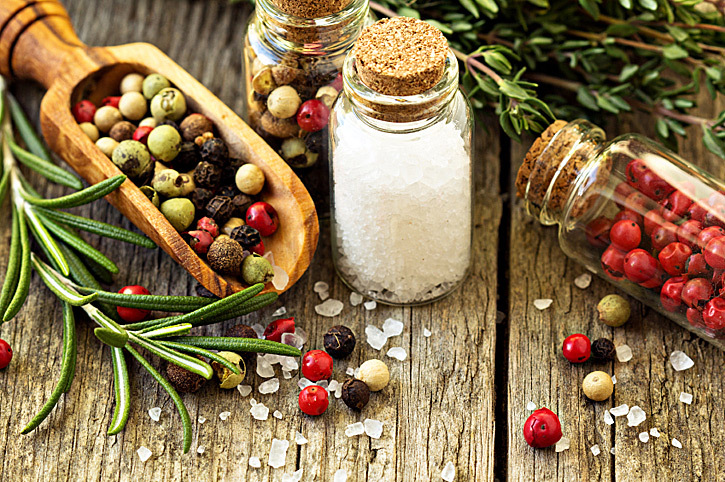 Some highly sensitive to salt will detect its presence at low concentrations, others, accustomed to salty foods, will need more before the critical edge is reached. Strongly flavored tobaccos behave in much the same fashion. Latakia and perique, for instance, added in small amounts can enhance existing flavors or aromas in a blend without calling attention to themselves. A pinch of perique can help to tame a sharp virginia, for instance, whilst a bit of latakia can add a little structure in the deeper part of the flavor spectrum. And, at low concentrations, that’s just what they do; they enhance without calling attention to themselves, at least for most smokers. There are those who are very sensitive to these tobaccos and who can detect them at much lower levels than most, and others who can tolerate high percentages before they notice their presence. When we get well beyond the threshold levels, these condiment tobaccos begin to play a more significant role in the overall taste and aroma profile of the mixture, and that’s how they’re used most of the time. Latakia mixtures usually have the smoky stuff included at between 25% and 50%, sometimes even higher. Perique can be incorporated as a major ingredient in a blend at anywhere from about 8% to 20% or more, and will make a pretty powerful statement, especially at the higher levels. I began exploring the use of these tobaccos as seasoning early on when I learned of the inclusion of a tiny bit of latakia in a once well-known English cigarette tobacco, and even more so when I was told that one of my favorite mixtures had just a wee pinch of perique in it. Like salt to a cook, the use of condiment tobaccos as seasoning has been an important part of my approach ever since. 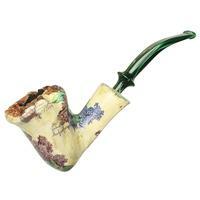 John has a pipe question: I just bought a [well known entry-level Italian pipe] in a bent acorn shape. Beautiful pipe, but unfortunately I did not try to pass a cleaner through it before the inaugural bowl of Haddo’s Delight. Halfway through I get (what is for me) the inevitable gurgle which is usually relieved by passing a cleaner through. Not to be. I asked the merchant for suggestions and was told that it is not too uncommon for entry-level pipes to not have a clear shot through stem and shank, and since I smoked a bowl, no backsies. Here’s my conundrum - if I can’t pass a cleaner through to dry up the gurgle during smoking, what else is there to do? 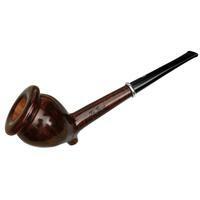 I understand that it is never advisable to pull the stem and shank apart while the pipe is warm from smoking, so that does not seem like an option to get a cleaner to mop up the gurgle. Is there any hope for enjoying this pipe? A: A couple of things come to mind. 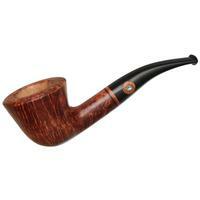 First, the advice not to disassemble a pipe when warm is certainly usually well advised, but if the stem isn’t too tight, you’re probably better off doing it anyway than not enjoying the thing. I know a guy who has persistent issues with gurgle because of the tobaccos he smokes and the way he smokes them, so he leaves his stems pulled partially out when he’s smoking. This has its own potential issues, as tars build up in the mortise, and can make it difficult to get the stem back in, or worse, can result in the stem sticking hard as the pipe cools and the tars solidify. It’s up to you whether or not you want to take these risks, but again, if it means enjoying or not enjoying the pipe, it might be worth the gamble. That aside, there might be some remedy to be found at the hands of a skilled pipe repairman, who can either correct the misalignment of the airway, or “tune” the draught so that gurgle will be less of an issue. I’ve relieved some bubblers by opening the inlet to the tenon wide enough to decrease the velocity of the smoke stream entering the stem. The flow throughout the length of the airway is constant, but the velocity will decrease with increased diameter. Moisture will still accumulate in the gap between the tenon and the mortise floor, but it will be less prone to being sucked into the tenon if the opening is widened. A small tapered needle file and a little carefully applied elbow grease is often all that’s needed to unstick this particular wicket. With that, we come to the end of the third year of this column. Keep those cards and letters coming. I’m looking forward to the next 12 months. A really good series of Q’s and A’s! Really great piece. The Q&A’s were excellent. I liked that they weren’t “I have a friend”……. In reference to the fellow with the bent misaligned pipe, I have found that unless the alignment is truly faulty, ‘Falcon” pipe cleaners work wonders for full bents. These pipe cleaners are very thin and fit through every one of my bent pipes. A tip for passing a pipe cleaner through a bent pipe: put a slight bend in the tip of the pipe cleaner and rotate it with some forward pressure to help it find the hole in the shank. Usually the bend is around 1/8″ from the tip, and <30°. Ditto Cortez. 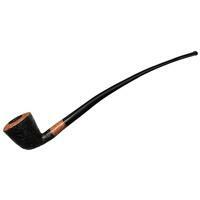 I have several bent pipes that require a slight bend in the tip of the pipe cleaner. The trick is to get the right bend aligned correctly. The second time should be a cinch. 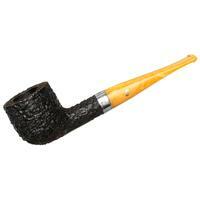 The trick for me is to smoke straight pipes only. Or mostly, at least. There are only a few makers out there who I’d trust to get the drilling right on a bent 100% of the time. Great questions & interesting answers. On John’s pipe problem can’t recommend a pipe repairer as never used one but can second Allan’s suggestion of Falcon pipe cleaners from experience but wondered if supplied in the USA (I assume John is located there). When I was after tobacco on the Smoking Pipes site a few minutes ago I could’nt see any so checked & are supplied via the Amazon site (actual suppliers the Nordic Art Centre !). In the UK we also have equally effective Ashton slim pipe cleaners but no idea if suppled anywhere else. More generally I read years ago in a leaflet from a tobacco store that one cause of liquid in the pipe stem was touching the bit with the tongue; goodness knows if this is true but may help. Also if the stem is hard to pull out of the mortice when hot rubbing the tenon (before hand of course!) 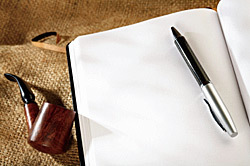 with an ordinary lead (actually graphite or graphene) pencil will lubricate it. The risks of extracting the stem while hot are breakage while tugging (lubrication will reduce this) and making the tenon/mortice connection too loose to smoke efficiently as pulling it apart while hot tends to increase the inner circumference of the mortice. Impressed by Greg’s virtuosity on cognac flavouring and could not help wondering if he used it in blends other than Barbary Coast. The thought hit shortly after reading the article while filling my pipe with ……… no some secrets are best left secret as every great blend (and probably every great blender) deserves to keep a little mystique. And I have probably guessed one of the least likely candidate anyway!!! Hold the pipe by the bowl with your palm (really the pad of the base of your thumb) over the bowl to keep the ash and cherry in in place, with the bit pointed toward the thumb side of your palm. Now SNAP your wrist two or three times. Moisture built up at the bottom of the airway will be propelled out of the bit of the pipe. This takes a touch of practice. And you want to let the pipe rest a minute or so after a puff before doing this, lest the cherry be glowing too hot and you burn your palm. But I have found it works very well if i pushed a pipe a little to fast and gotten some condensation. 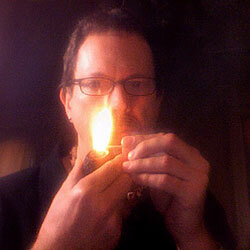 I was taught this trick by my pipe smoking uncle who led me astray 35 years ago or so. Really solid Q&A. Learned some useful info today.